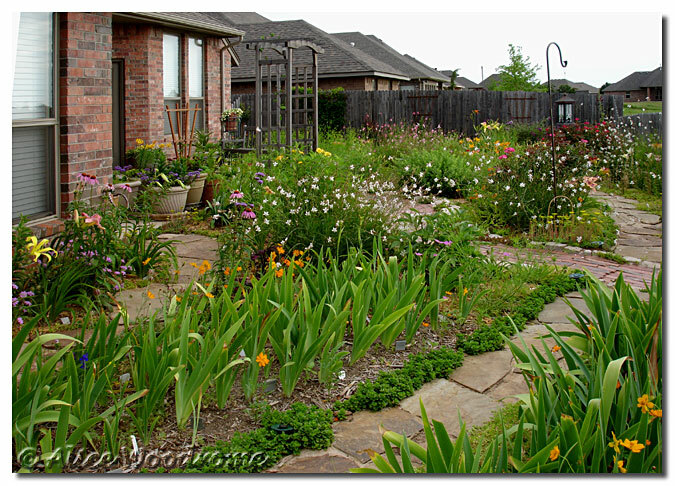 These first long shots were taken in the backyard. 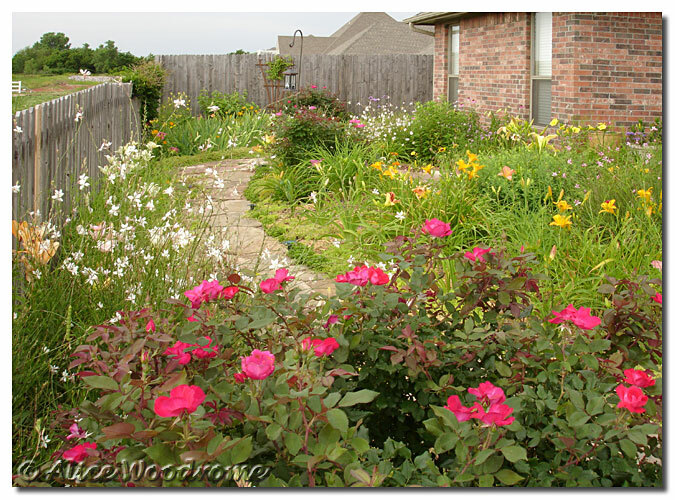 From the North; Outside East Bedroom; Birdbath; Roses; Along Walkway; From the South. 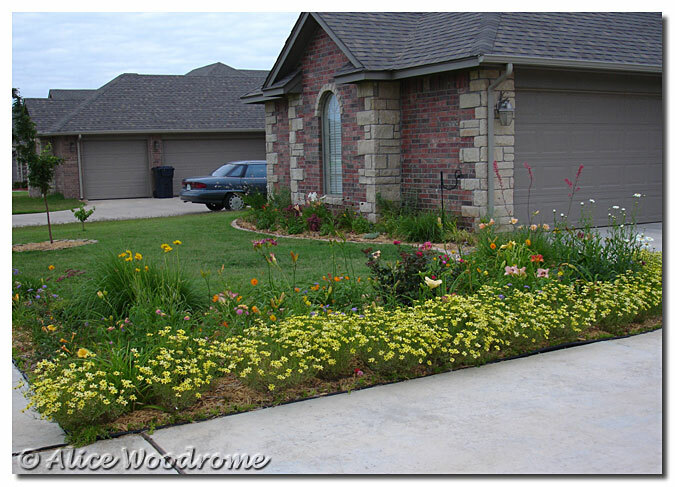 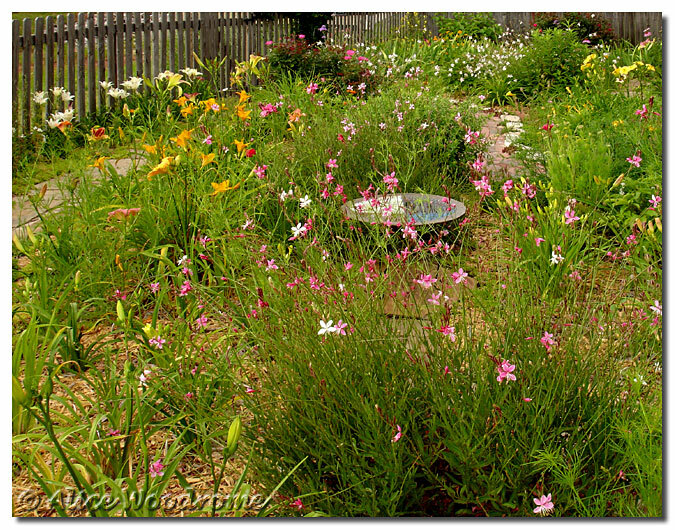 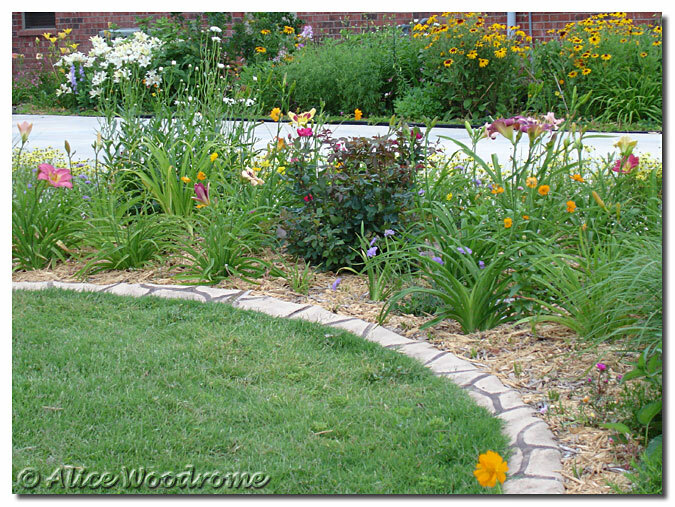 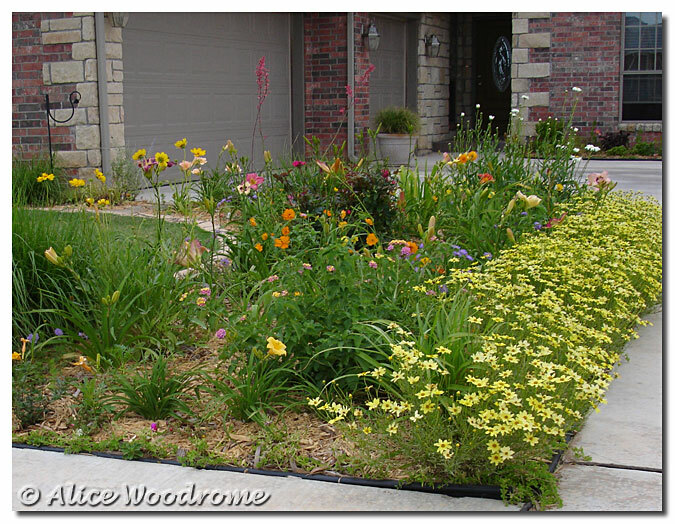 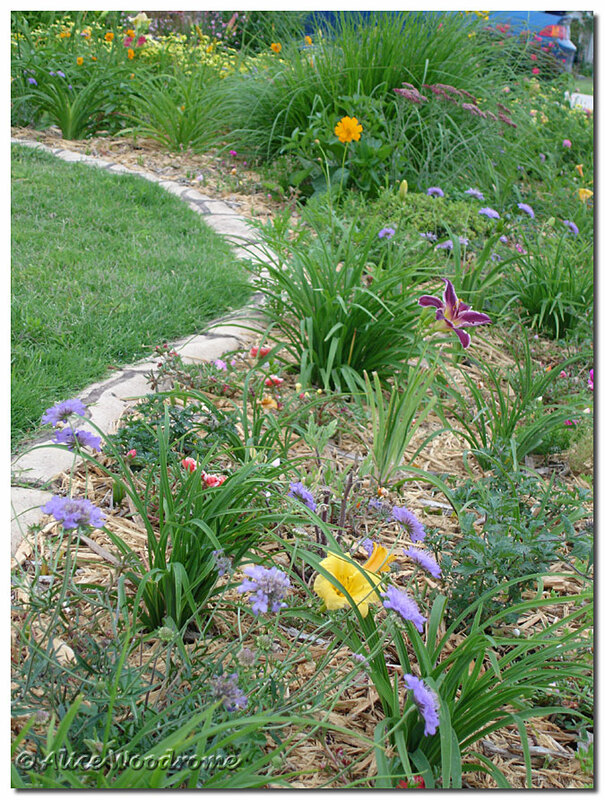 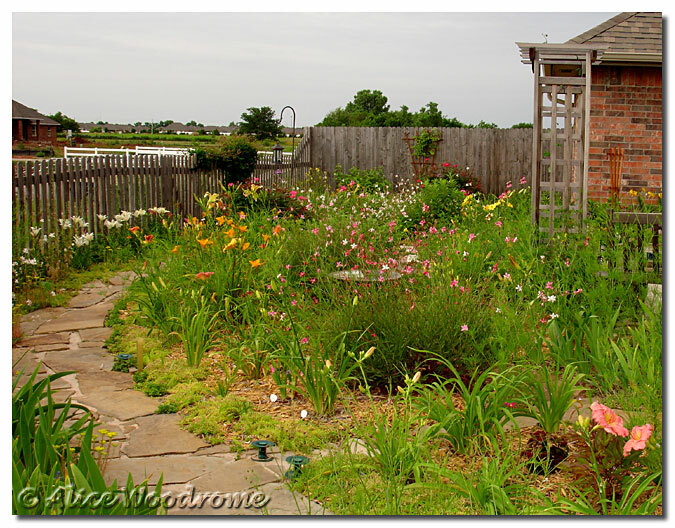 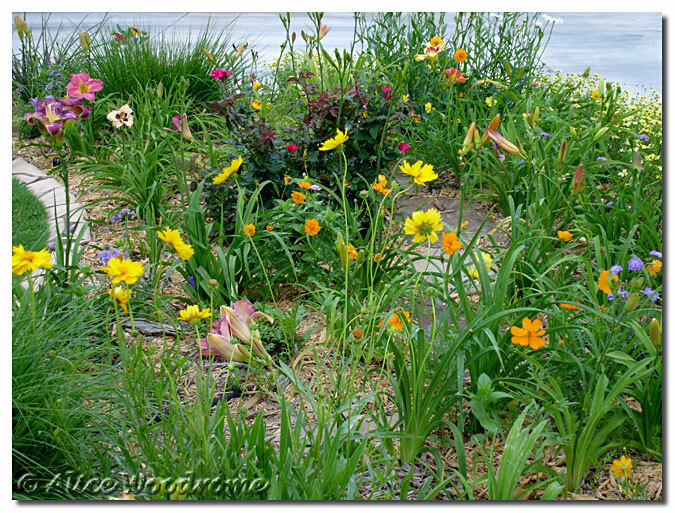 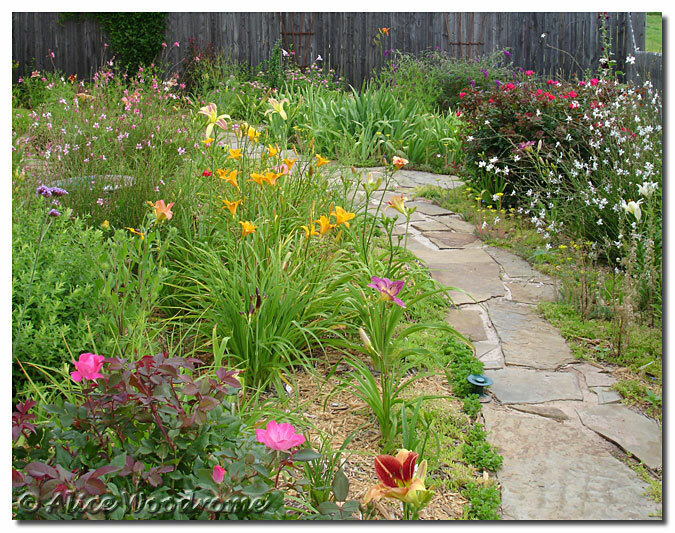 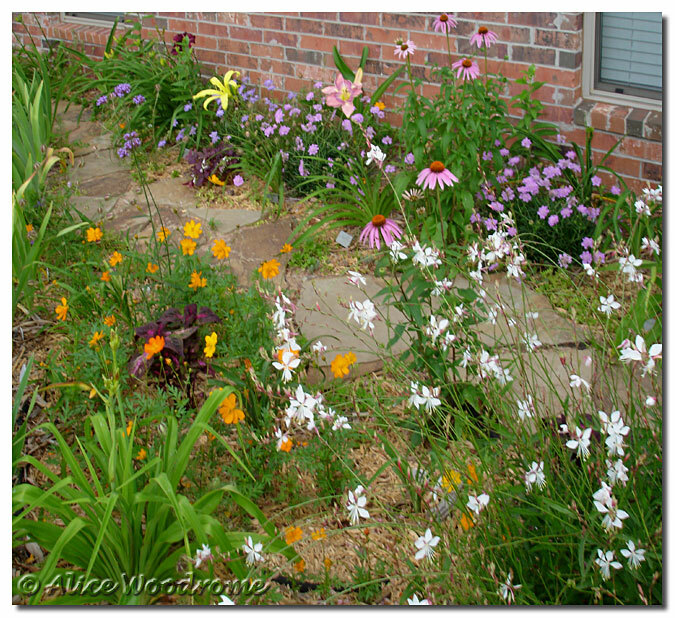 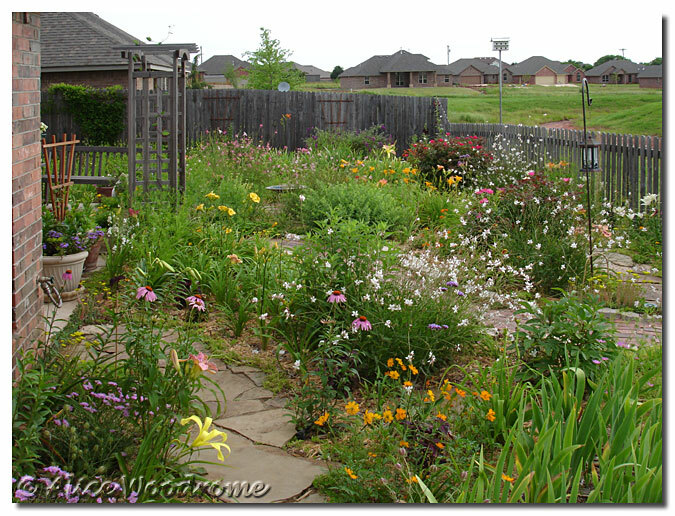 Front Yard Shots: Creme Burlee Coreopsis Border; Along Sidewalk; Toward Front Door; Looking South; Toward Street.